Originally from the Orange Free State village of Petrus Steyn, Susanna Swart-Haink spent her formative years studying in South Africa’s Vaal Triangle in Vanderbijlpark. She later earned a Bachelor of Arts Degree from North-West University with a focus on languages before receiving her HOD Diploma from the University of Pretoria. 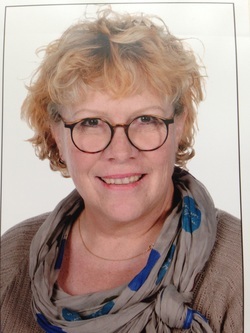 With her knowledge in language acquisition and English as a Second Language expertise, Susanna developed the ESL Program for the primary years program at the International School of Stuttgart, where she spent many years as a teacher to young children and a mentor to colleagues. She has also taught at various other institutions. She began writing and illustrating children’s books after a series of life-changing events that included moving abroad, getting married and raising children. She currently lives in Esslingen, Germany with her husband and their congregation of feline friends! "Intsomi" is a Xhosa word and means 'fable' or 'fiction'. Somewhere it is also translated as 'Voice of Africa'.